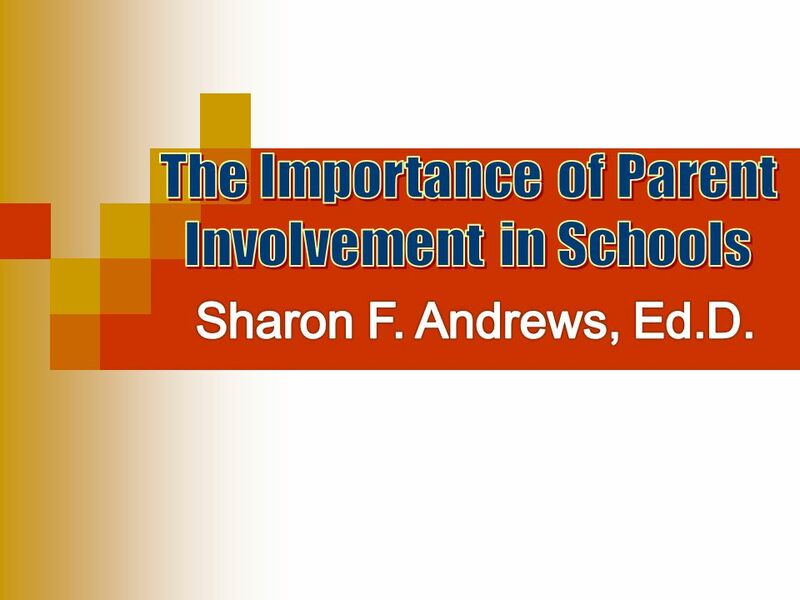 Involvement in Schools Sharon F. Andrews, Ed.D. 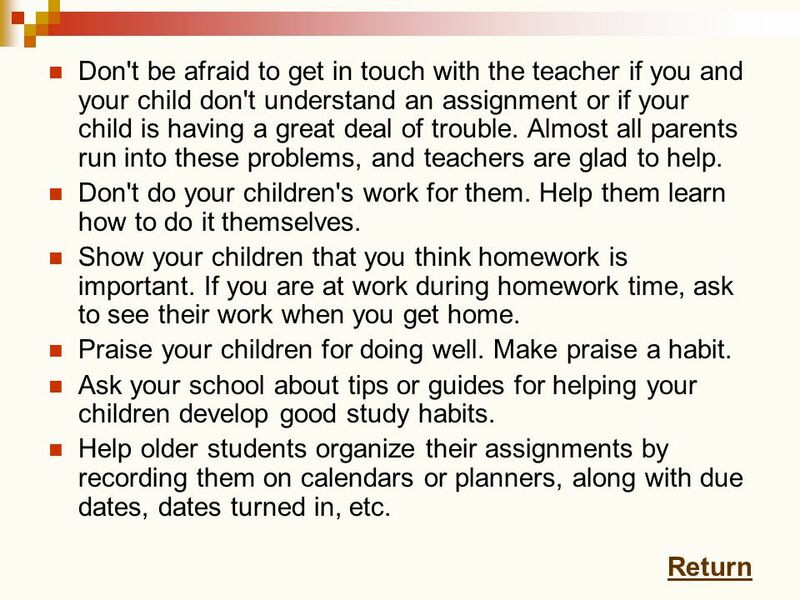 2 Parent Involvement Why is parental involvement so important? 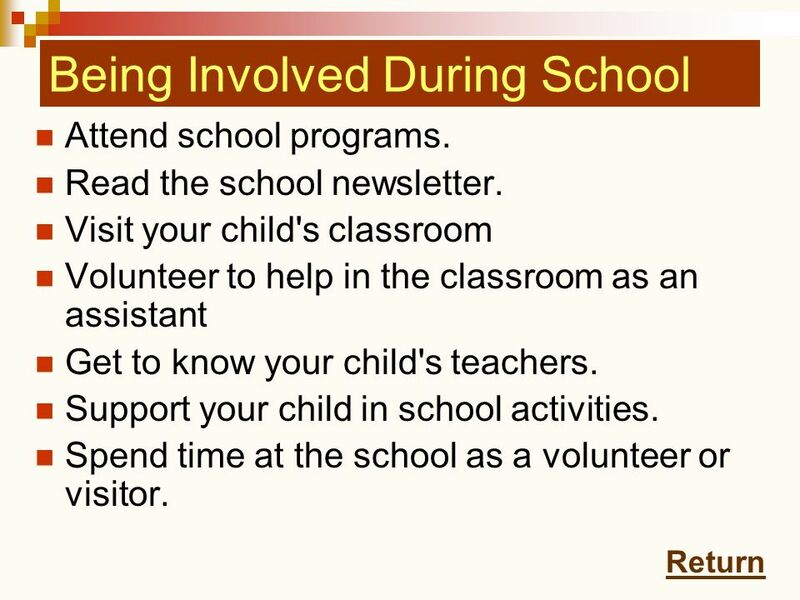 How do I get involved at school? 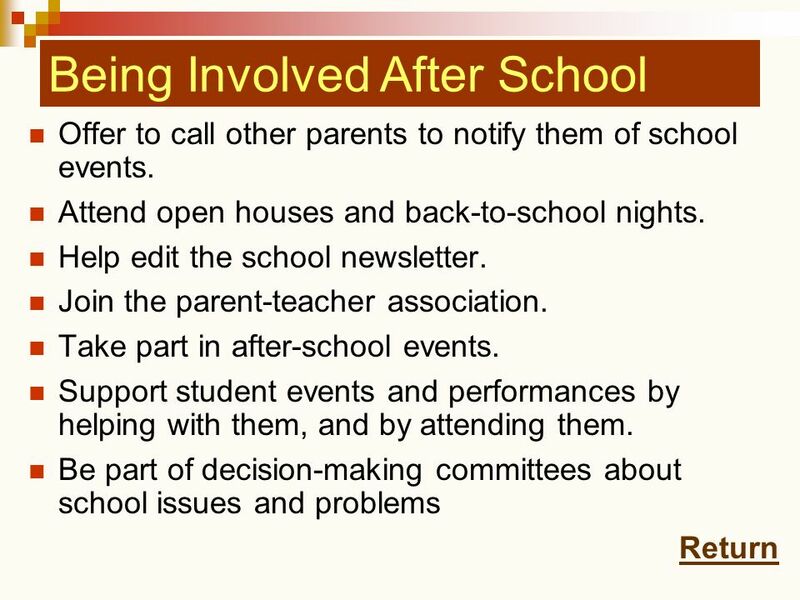 What if I am busy during school – how can I get involved? 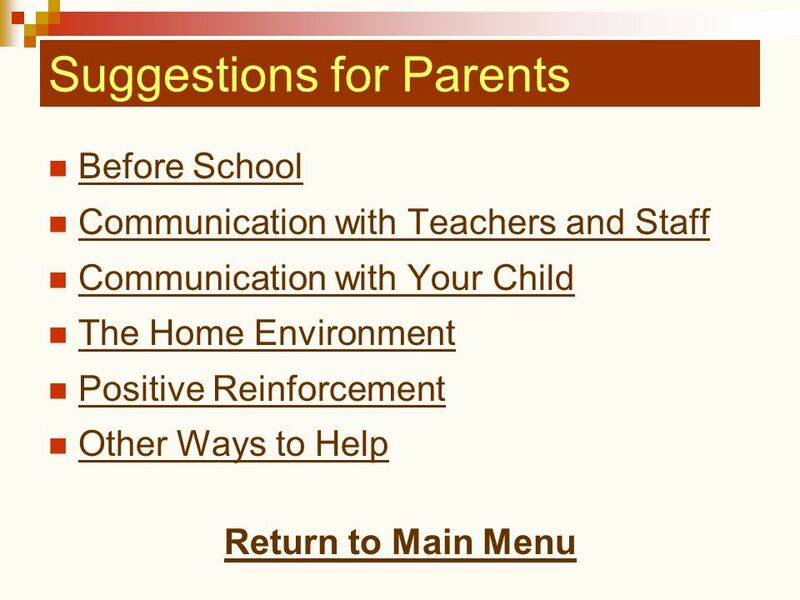 I need specific suggestions of how to help, both at home and at school! 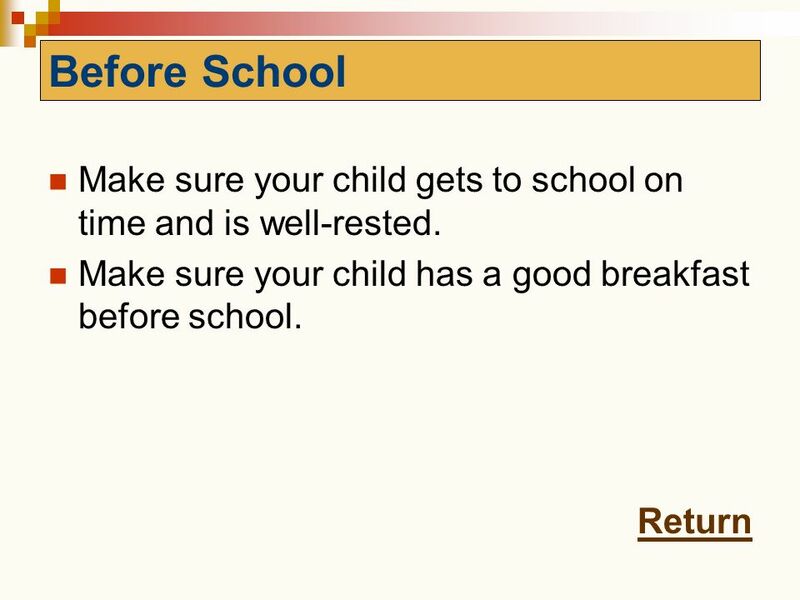 And, what about homework? Help!!! Can I get more information? 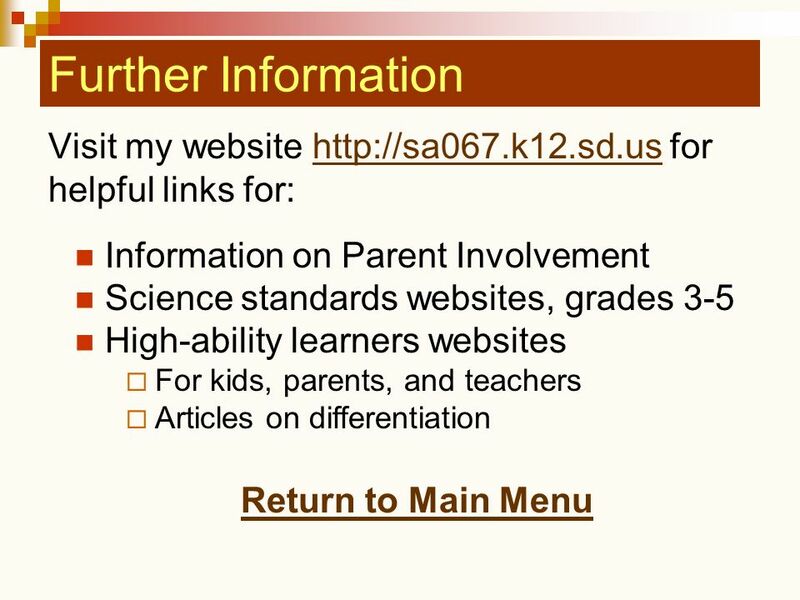 Download ppt "Sharon F. Andrews, Ed.D. 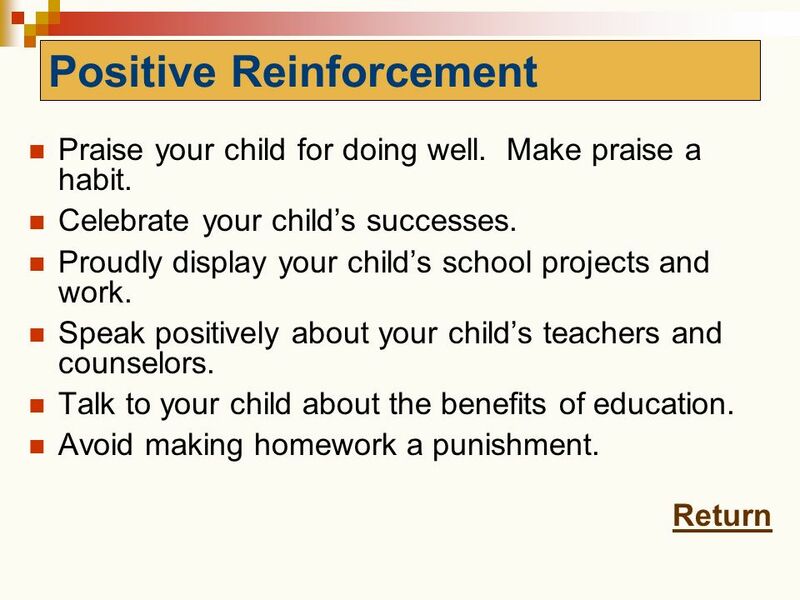 The Importance of Parent"
Welcome to Parent-Ed Night Series #1 What Does a Successful Middle School Student Look Like? 1. 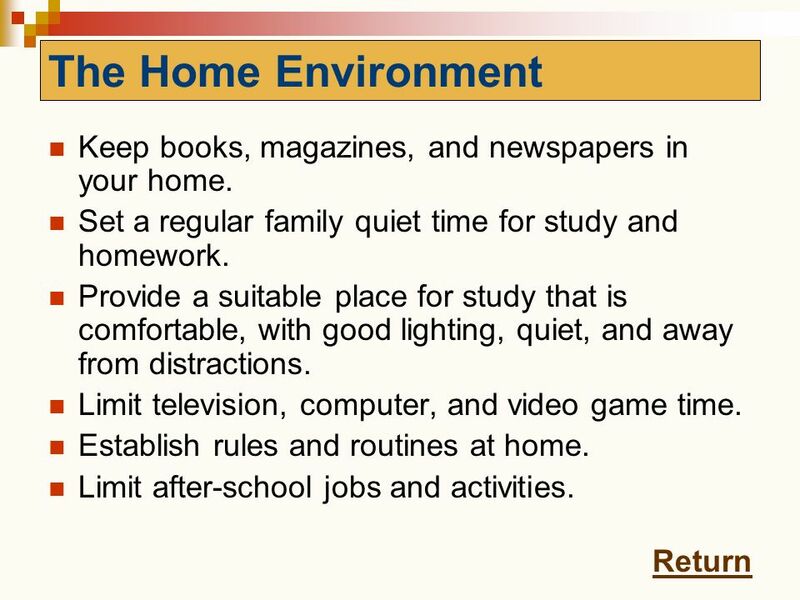 Create an environment in your home that encourages learning. 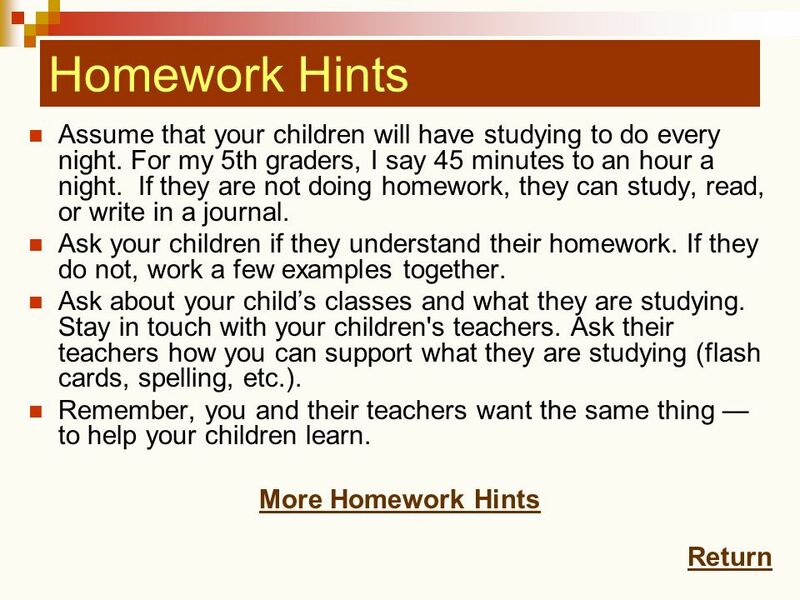 This will be a major influence on how well your children do in school. Provide them with. Loaded word Loaded word Important Important Get nervous just thinking about it Get nervous just thinking about it. Parents are Powerful Worcester Adult Learning Center Worcester Public Schools 2012. Unlocking Your Child’s Potential Southfield Public Schools Southfield, Michigan. 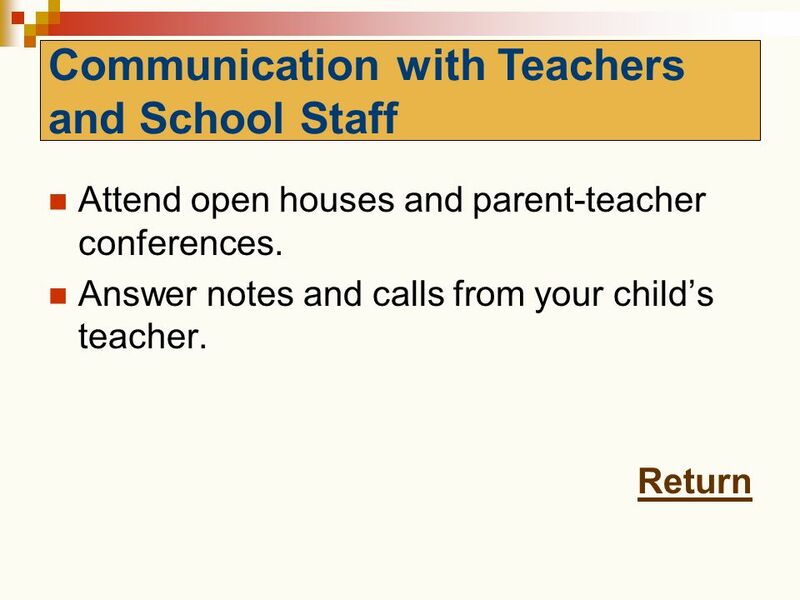 Educational Champion Training MODULE 3: Communication with Child and School © National Center for Youth Law, April This document does not constitute. South Dakota Parent Information and Resource Center and Rapid City’s North Middle School. 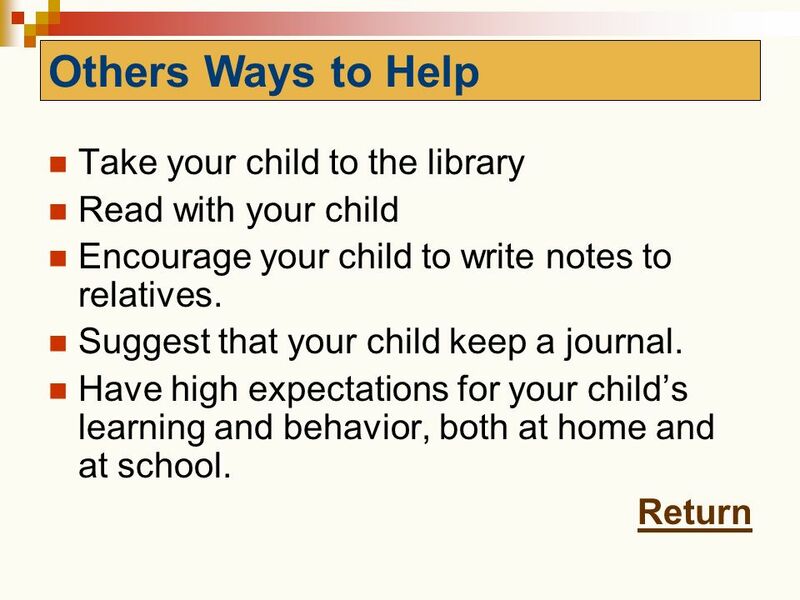 Helping Your Child Succeed in School “Showing our children that we both value education and use it in our daily lives provides them with powerful models. Artifact 11 A PowerPoint created at Liberty Elementary School for an FCAT parent meeting. This artifact was developed during my practicum experience at. 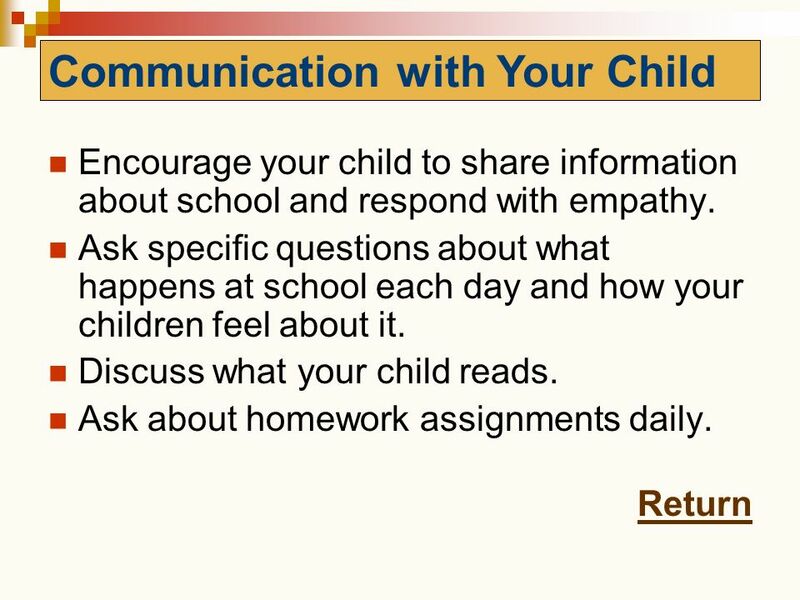 PARENTAL INVOLVEMENT Building a positive relationship with your students, families and caregivers.